George Stephenson, who built the first practical steam locomotive in England, laid his rails based on the width of coal wagons. Laying the rails five feet apart and accounting for two inch wheels and a bit of leeway, the resulting space between the rails, or the rail gauge, was four feet eight and a half inches. Stephenson used that gauge in 1830 when designing the Liverpool and Manchester Railway, the first rail line in England. 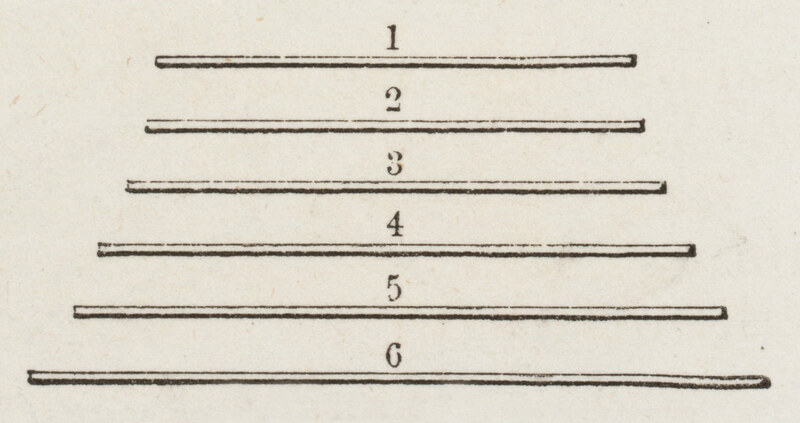 The width came to be called the "Stephenson gauge." Opinions varied on the best rail gauge and a few British railroads chose different, wider gauges. However, they soon realized their tracks would ultimately have to become compatible with the Stephenson gauge or offload the passengers and freight to a new train when incompatible rails met. By the mid-1840s, by act of Parliament the Stephenson gauge became the designated standard gauge for England. American railroads would also eventually adopt the Stephenson, or standard, gauge. Both the Central Pacific and Union Pacific railroads laid rails with the four-foot-eight-and-a-half-inch gauge while building the transcontinental railroad, but the American path toward standardization was not nearly as straightforward as England's. 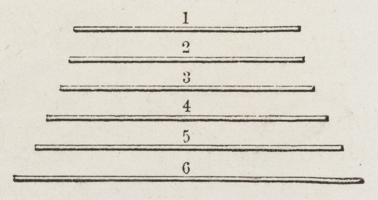 Because the British were the first to build railroads, some American engineers went to England to study railroad construction, and tended to use the Stephenson gauge. The first railroad in the state of New York, the Mohawk & Hudson, opened in 1831 using the Stephenson gauge, and a few others followed suit, but rail gauge was often chosen according to the inclination of the engineer in charge and some believed that a wider gauge would give a locomotive more stability. Scotch, narrow- 4 ft. 6 in. Common English & American- 4 ft. 8 in. Eastern counties & Blackwall, England -5 ft.
Scotch, broad, Canadian Grand Trunk, East Indian -5 ft. 6 in. Irish - 6 ft. 2 in. Great Western (English broad) - 7 ft.
American railroads were planned to serve cities and their surrounding areas with little thought that these networks would eventually meet. From the 1830s through the 1850s, the number of gauges proliferated. For example, the Camden & Amboy railroad, though in the vicinity of the Mohawk & Hudson, chose a four-foot-nine-and-three-quarter-inch gauge. In the South, the Charleston & Hamburg railway was built with a five-foot gauge. Nearby states that wanted to interact with the line, copied the gauge, so by 1861, over 7,000 miles of track with this wider gauge had been laid throughout the South. The Ohio legislature established a four-foot-ten-inch gauge of for the state. The state of California chose a gauge of five feet, and some railroads in Missouri and Texas chose six feet. By the 1870s, there were over twenty different gauges in use in America. Gauge choice was not always an engineering decision. In some cases rails already existed that had moved coal using horses or mules to pull the cars, so the decision was made to continue that gauge. Some railroads thought it was a good market strategy to use an odd gauge to fend off competitors. 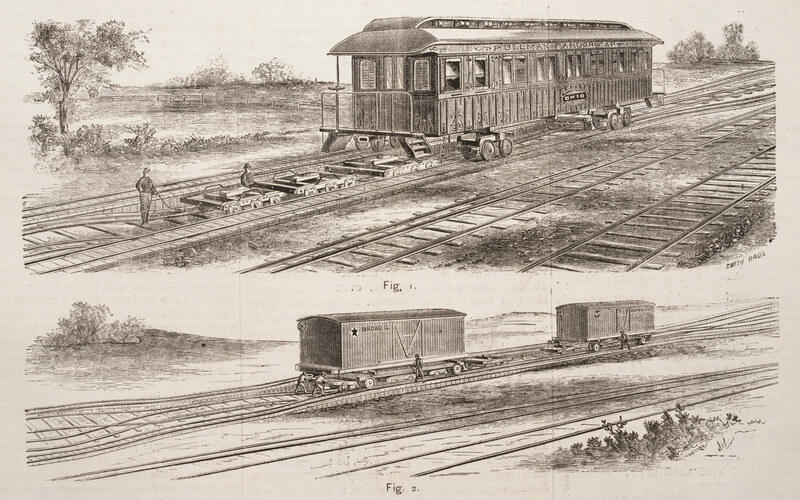 The New York & Erie Railroad not only believed a broader gauge was more stable but also that a six-foot gauge would prohibit rivals from connecting to their rails. Canada chose a five-foot-six-inch gauge as a military strategy: American trains could not operate on Canadian rails. As railways proliferated and travel expanded in the 1850s and 1860s, the breaks in gauge presented continual problems. A number of remedies were attempted. "Compromise cars" were built with 5-inch-wide wheels, an inch wider than normal, to allow them to travel on standard tracks and on four-foot-ten-inch-wide tracks. Eventually thousands of compromise cars were built but they only worked on some of the railways and could not bridge the gap to run on the South's five-foot rails. Rail officials were opposed to the cars because the wide wheels sometimes slipped off the rails, resulting in accidents such as the Angola, New York, disaster caused when two compromise cars derailed and the coal stoves in the cars set everything ablaze, killing forty-nine people. Charles Tisdale tried a different approach. His 1863 invention allowed car wheels to slide along a bar so they could be manually widened or narrowed to travel on tracks of various gauges. Though it looked like a good solution, this design, too, was prone to careless handling and wear, and caused many accidents. Another solution was intended to carry narrower gauge cars over broad gauge roads and involved hoisting the narrower gauge cars onto rails placed atop broad gauge trucks. However, this made the car top-heavy and unstable and it only worked one way; the broader gauge cars could not sit atop trucks on the narrower rails. One remedy for switching gauges was the Ramsey Car Transfer Apparatus. Instead of hoisting the cars off the trucks, the tracks were lowered and trucks with wheels of a different gauge were attached. Some railroads used steam-powered cranes or hoists to lift cars off one set of trucks and onto another. John Imboden patented a steam powered lifter manufactured by the Richmond Car-Lifter Company that raised a car off its current truck then lowered it onto a truck with wheels of the appropriate gauge. Though such systems could refit eight to ten cars per hour, it was still a rather slow and expensive process. Sometimes the problem was attacked at the track level. Some companies laid a third rail inside or outside existing rails to accommodate trains of two different gauges. As markets widened and railroads began to move products outside local networks, it became evident that the only reasonable solution was to standardize rail gauges. One by one, railroad companies moved toward the Stephenson, or standard, gauge. Changing the rails was an expensive process, both in actual labor costs, with some companies hiring thousands of workers to change all their rail lines all at once, and in loss of revenue due to railroad down time. But once the decision was made change came quickly. For example, the Illinois Central hired 3,000 men to change their Southern line to the standard gauge, changing all 547 miles of track in one day. The Louisville & Nashville hired 8,000 men to change their 2,000 miles of track to the standard gauge, also in one day. The South, which had been isolated by the Civil War and Reconstruction, was the slowest to change, but by the end of the 19th century most railroad tracks in the U.S. had changed to the standard gauge. Even Canada, no longer concerned about an American invasion, had changed to the standard gauge.